Ahh, finally, Retired Life! Give the retiree a gold watch if you want to, but a Retirement Toolbelt will get far more attention and lots of laughs. 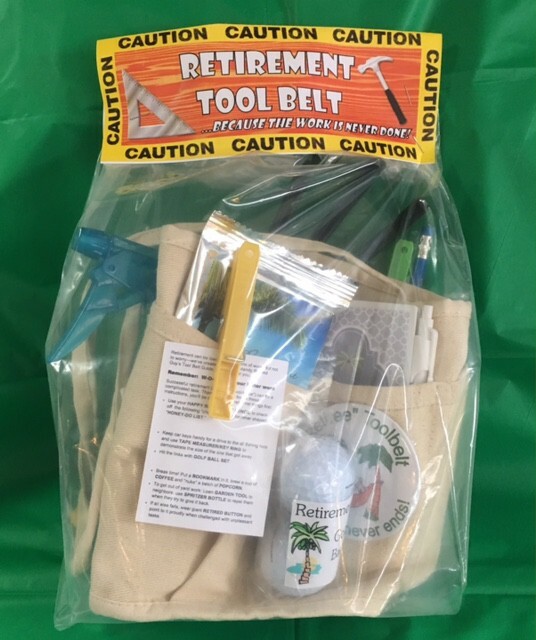 This Retirement Toolbelt gift offers a humorous forecast of the retiree’s days ahead. 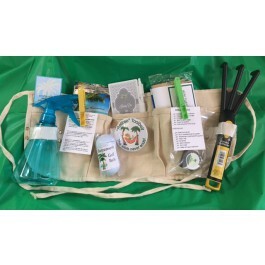 Whether he'll be fishing, golfing, or traveling to warmer climates, the sturdy 6-pocket toolbelt is loaded with novel retirement items and answers the timeless question, “What should we get him?” Create light-hearted fun with this clever gift, and be sure to take pictures of the honoree sporting his stocked toolbelt and jumbo size Retiree button. He may think that it's time to replace hard work with "hardly working", but we all know, “the work is never done.” From the clever Honey Do List notepads & Retirement Pencil, to the gardening tool, tape measure, golf ball, it’s all packed into the Retirement Toolbelt. 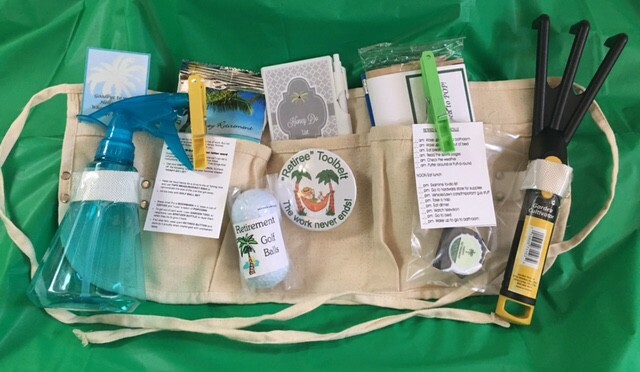 Each toolbelt is completely assembled and ready for use, a great choice for office parties or for family members to give the honoree! * Note: “Tools" may not always be as pictured, but substitutions will always be of equal or greater value.